Organizations from across the country are seeking to partner with the U.S. Environmental Protection Agency (EPA) to invest in their local economies and improve water infrastructure. EPA’s Water Infrastructure Finance and Innovation Act (WIFIA) program received ‘letters of interest’ from prospective borrowers in communities across 19 states, an example of EPA’s programs supporting President Trump’s vision of investing in our nation’s infrastructure. Established by the Water Infrastructure Finance and Innovation Act of 2014, the WIFIA program is a new federal loan and guarantee program at EPA that aims to accelerate investment in our nation’s water by providing long-term, low-cost supplemental credit assistance for regionally and nationally significant projects. WIFIA is funded at $25 million by Congress for fiscal year 2017. This will allow for $1.5 billion in loans, spurring $3 billion in projects to repair, rehabilitate, and replace aging water treatment plants and pipe systems, and construct new infrastructure for desalination, water recycling, and drought mitigation. Combined with similar EPA programs, such as EPA’s State Revolving Fund (SRF) loans, private equity, revenue, and municipal bonds, these projects could address over $12 billion in infrastructure needs across the country. 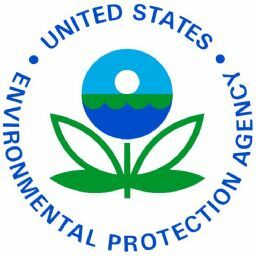 EPA received over 40 letters of interest from prospective borrowers interested in developing local projects from cities, counties, towns and private businesses in: Arkansas, Arizona, California, Colorado, Florida, Georgia, Illinois, Indiana, Kansas, Maine, Maryland, Massachusetts, Mississippi, Missouri, Nebraska, Pennsylvania, Tennessee, Washington, and Wisconsin. EPA is currently evaluating project eligibility, credit worthiness, engineering feasibility, and alignment with WIFIA’s statutory and regulatory criteria. Through this competitive process, EPA will select projects that it intends to fund and invite them to continue to the application process this summer.